Woah. Just saw this on TV. Chest hair, really? C’mon. My aunt just emailed me from South Korea to congratulate us on our upcoming baby. She said lots of couples are trying to get pregnant and have a baby this year, because 2010 is the year of the White Tiger and it only comes along once every 60 years. In Korea, they are especially excited about babies born this year, because the White Tiger is a national symbol featured on their flag. Many people believe that babies born during the year of the White Tigers will become wealthy and powerful and will be born with an extraordinary amount of potential. There is also a local legend in Korea about four guardian gods in the shape of animals. The first is the chungryong (blue dragon). Then there’s the hyunmu (turtle-snake), Next is the jujak (phoenix). 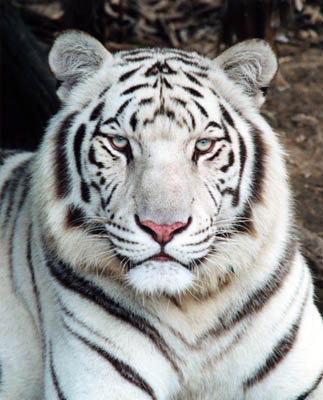 And finally, there’s baekho (white tiger).While the first three gods are fictional characters, the White Tiger is the only real animal, which is why they are so highly respected. 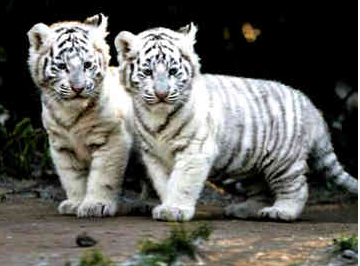 And because actually seeing a real White Tiger is like one in a million, many believe its rarity makes it a good sign. So what’s so special about the White Tiger, besides the fact that it’s rare? What makes babies born in 2010 so special is the fact they are normally Metal Tigers, but they will also be White Tigers–which is extra special. In general, tigers are difficult to resist, because of their magnetic and charming personalities. They are a mixture of calmness, generosity, and courageousness. Tigers enjoy the unpredictability of life and are never scared to explore new things. In fact, they prefer first-hand experiences. Tigers do not enjoy being trapped in a situation and can become aggressive if they find themselves in that situation. And Tigers tend to trust their instincts. White Tigers get irritated very easily, but unlike other Tigers, they are able to hold in their frustrations to themselves for awhile before losing it. Tigers are sensitive and emotional and can sometimes become too intense when they are in love. While they are capable of being passionate, they can be territorial and possessive. Tigers are never afraid to express their feelings. Their best partner is someone who is committed and can quietly pursue their own plans in life. Tigers are always in a hurry to get things done right, so they prefer to work alone. They are hard-working by nature and will work with enthusiasm and efficiency. They are optimistic and full of determination. The Tigers’ drive makes it difficult for them to deal well with failure. They are natural born leaders. The best career paths for Tigers are: Company director, Stunt person, Explorer, Military officer, Politician, Stockbroker, Writer, Designer, Athlete, or Movie Star. For Father’s Day this year, I bought my husband the Nike South Korean World Cup soccer shirt. It features a white tiger and thought it was the perfect gift. 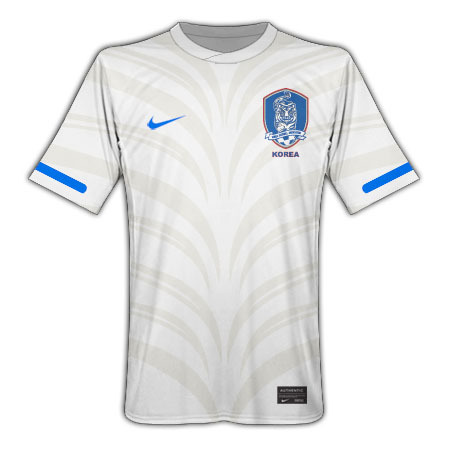 Nike still has some of the white tiger South Korean soccer shirt. If you want one, click here.